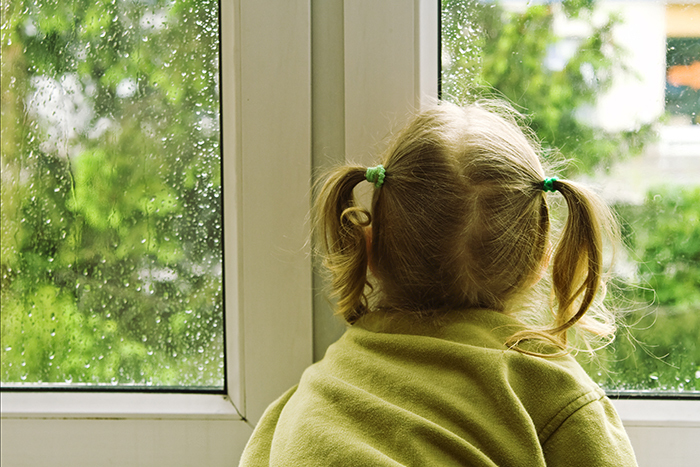 Although waiting out the rainstorms inside may prove challenging for the kids, there are a number of easy rainy weather activities that actually involve using rain to have a good time. Activities such as the “rainstorm in a cup” and the “rain tube” are not only fun, but can also be educational for children. Fill the cup with water, and spray a thick layer of shaving cream over the top, covering it completely. Have the child select their favorite colors and squirt drops of the food coloring into the shaving cream. Within moments, the food coloring will seep down into the shaving cream before flowing into the water. Colorful “rain” will fill the cup just like real rain fills the sky. The vibrant effect of the food coloring shows how water passes down through clouds and turns to rain. One of the most relaxing sounds we can listen to is the sound of raindrops falling during a storm. It’s one of nature’s best lullabies, and with just a few items, you and the kids can create a rainmaker to capture this sound. Cut two circles out of the cardboard and use the packing tape to secure one of them to the end of the wrapping paper tube. Let the child pour several cups of the rice or beans into the tube and seal the opposite end with the other cardboard circle. Check to be sure that the tube is properly sealed, or you will have a huge mess on your hands! Hold the tube horizontally and slowly tilt one side down. 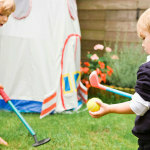 Your rainmaker will give the kids the sounds of a good rainstorm even on the sunniest day. These are just a few good ideas to get you started on a rainy day. Check back in with us often for more great tips and recipes!